The Most Exciting Two Minutes in Sports returns to Churchill Downs this weekend for the 142nd running of the Kentucky Derby. Fresh off American Pharoah's Triple Crown win last year, the field will feature top thoroughbreds Nyquist, Exaggerator, Mohaymen, Gun Runner and Creator. And while patrons prep their best racetrack attire for Saturday's race, they'll be paying big prices for Kentucky Derby tickets on the resale market. As it stands now, the average resale price for 2016 Kentucky Derby tickets is $882.13. That makes it the third most expensive Kentucky Derby since 2012. 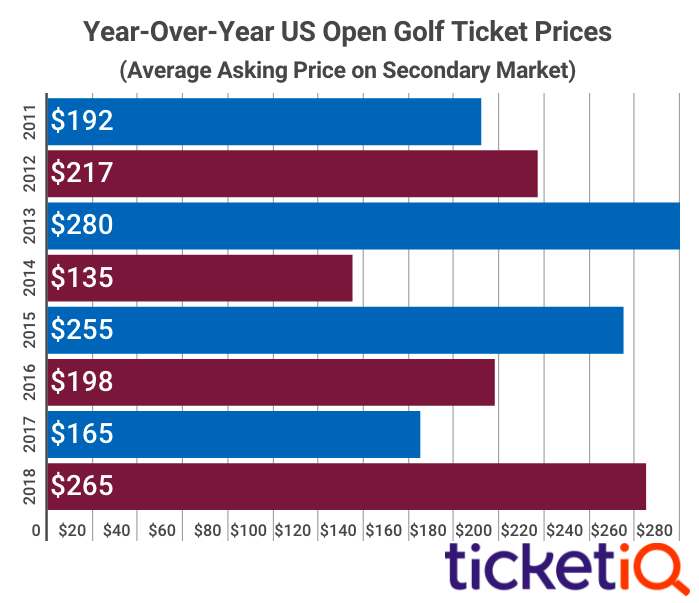 Only 2012 and 2015's races were more expensive on average, with tickets averaging $1,159.43 and $908.52, respectively. If looking just to get in at Churchill Downs on Saturday, the cheapest ticket is now listed for $102. Nyquist owns the best odds at receiving the Garland of Roses on Saturday at 3-1. Exaggerator follows behind at 8-1 while Mohaymen, Gun Runner and Creator each own 10-1 odds. Post time is scheduled for 6:34 p.m. and this year's race will carry a $2 million purse, down slightly from last year's $2.2 million total purse.